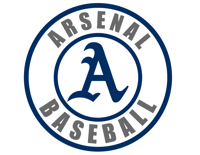 The Arsenal Organization is dedicated to developing the highest caliber baseball & softball players in the United States. 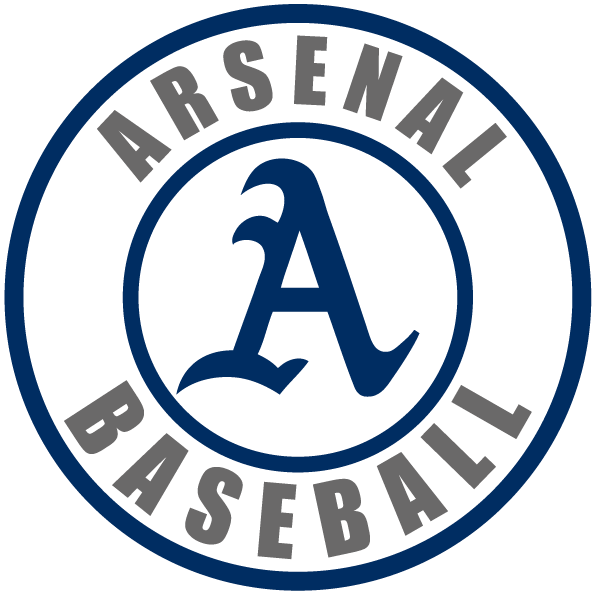 One of the goals of the Arsenal program is to provide an environment to enhance and encourage the development of skills and desires of our players in respect to the games of baseball and softball. Under the direction of the “Hit Doctor®” Joe Barth and his staff, the Arsenal program teaches and instills a love for the game that exhibits the best of what our players can be. The Arsenal teams are made up of some of the finest players from the Tri-State area (New Jersey, Pennsylvania & Delaware) and compete nationally in their respective age groups in search of the most competitive baseball and softball available. The Arsenal players, coaches and organization strive to continuously improve in all aspects of the game with the goal of building the ultimate baseball and softball experience. The Arsenal experience is like no other baseball experience in the Northeast and it's success speaks for itself. Since it's inception, the Tri-State Arsenal program has successfully captured numerous National Titles and winners of dozens of Regional Tournaments Titles and League Championships. In addition to the success the Arsenal have had on the field, the Arsenal program has been very successful in providing exposure to college coaches nationwide helping hundreds of our players over the years to receive college scholarships and professional contracts. The Tri-State Arsenal program strives for excellence however also looks for the higher purpose of creating positive memories that will last a lifetime! While we take great pride in our many accomplishments, be it from celebrating a former like Mike Trout being named AL Rookie-of-the-Year and American League MVP, to seeing a current player sign a National Letter of Intent to play college baseball, or a National Championship for one of our teams, these results are just a product of our goal... player development. To provide a comprehensive training program that enables our players to develop and maximize their God-given abilities. To teach the fundamentals of the game of baseball better than any organization in the world. To share our passion for the game of baseball. To provide an uplifting and inspirational experience for the players involved. To teach life skills that can positively affect the lives of each and every player. To educate parents, teachers, and youth league coaches on how to teach and make aware of the responsibility they carry because of the tremendous impact they have on these children's perception of their own self worth. To have every player leave feeling better about himself, to build self-esteem. Tri-State Arsenal is the concept of Director, Joe Barth, Jr., former head coach (1981 - 2000) of the powerhouse Brooklawn Post #72 American Legion Baseball Team, a team with a proud 50-year tradition. Founded and still managed today by Joe's father, Joe Barth Sr., Brooklawn Legion is recognized nationwide as one of the finest baseball programs in the country. Joe has been running camps for players of all ages since 1984, and has always been dedicated to giving players the highest quality of instruction, while keeping the fun in the game he loves. He is considered by both college and professional coaches to be one of the finest hitting instructors in America today. The Hit Doctor's® comprehensive, individualized training system for our players is unlike anything normally offered in a baseball academy. When a player participates on a Tri-State Arsenal team, he emerges with a workable program he can stay with for the rest of his career. The Arsenal has been an overwhelming success, because of the tremendous staff Joe has assembled and because The Hit Doctor® makes "learning the proper way to play baseball" fun!! Joe and his son, Bob, are both considered by college and professional coaches to be among the finest coaches and baseball instructors in the USA today. Joe and Bob founded the Tri-State Arsenal Travel Baseball program and currently coach teams which have won numerous national championships. Joe is a 2007 Inductee into the South Jersey Baseball Hall of Fame. The Tri-State Arsenal baseball program is dedicated to providing quality baseball instruction to players who are interested in maximizing their own personal potential. We have multiple teams at each age level, and while every player receives the same quality baseball instruction, we align the level of play for each of our teams to their respective competitive ability. Even though we offer professional staff coaching, access to Player Development Academy lessons, a high number of tournaments at some premier facilities in our region, we are actually less expensive than most travel baseball organizations. We have organizational-wide and team specific fundraising options available. My son isn't good enough. As stated above, we have multiple teams at each age level. Our objective is to provide a fun, competitive experience for our players. The goal is to maximize each player's potential, regardless of their current ability. ©2019 Tri State Arsenal Baseball / SportsEngine. All Rights Reserved.